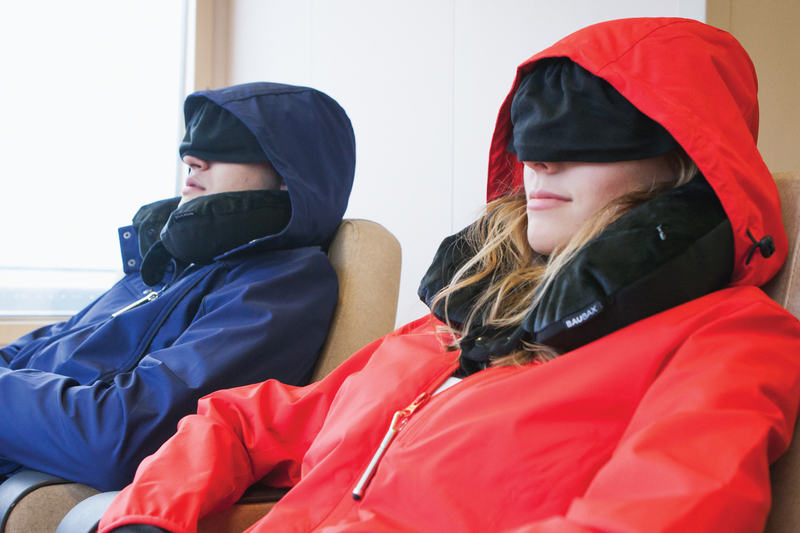 Inflate a pillow, unfurl a blanket, blow up a foot rest, and flip down an eye mask – the BauBax 2.0 Jacket packs loads of built-in extras to ease the hassles of travel. If James Bond and Inspector Gadget made a coat, this would be it. 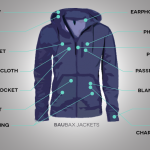 Seattle-based BauBax blasted onto the apparel scene in 2015 when it raised more than $9 million on Kickstarter. 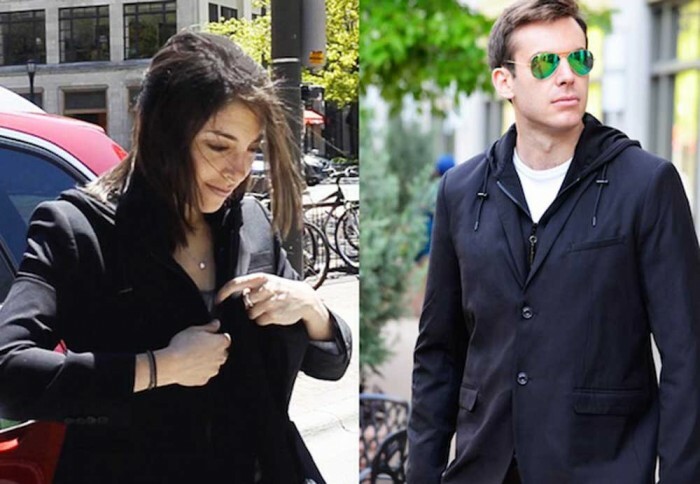 Its travel-focused jackets housed 15 unheard-of extras aimed at simplifying travel. Today, the brand launched BauBax 2.0. Like its predecessor from three years ago, the new piece sports an inflatable neck pillow, built-in gloves, drink koozie pocket, and retractable pen. But the brand went a step (or 10) further to pack in more features and offer new styles. The bulk of BauBax 2.0’s features target the headaches of air travel. One pocket houses noise-cancelling ear plugs (included), and another has earphone ports for your tunes. The trademark two-breath inflatable neck pillow deploys from the collar, just like the original. But feet receive a pillow of their own in the 2.0 with an inflatable footrest. And a stowaway travel blanket helps fend of the meat-cooler conditions most airplane cabins provide. Like the old jacket, there’s an insulated drink koozie chest pocket, but now there’s also a foldable water bottle to go along with it. 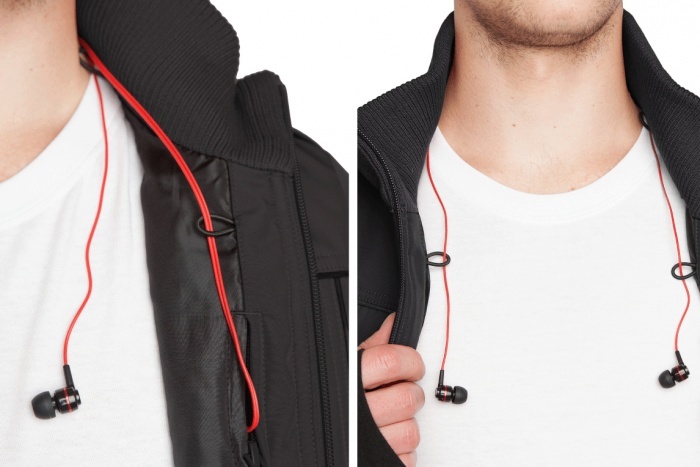 And while there are still dedicated pockets for both a phone and a tablet, designers added a wireless headphone pocket and wired straps to plug into Apple AirPods. As part of the “tons of constructive feedback” the brand said it received following its launch, BauBax 2.0 adds a new style to its lineup. Gone is the 1.0 hooded “travel blazer.” Because let’e face it, you want to look either sharp or lazy – not both. In its place is a more classically styled vest. 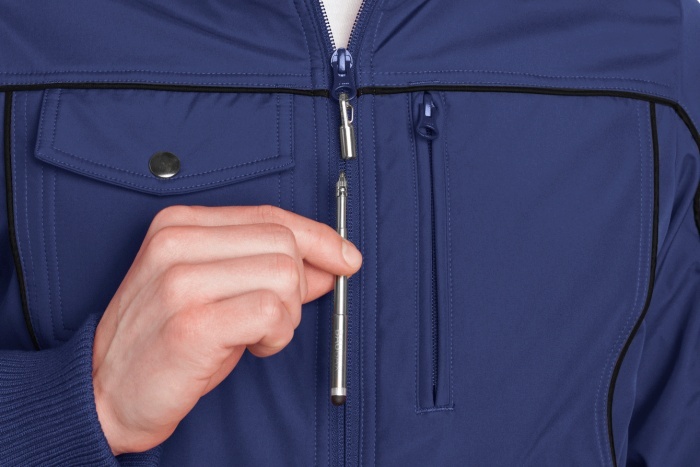 This accompanies the carryover styles: zip-up hoodie, windbreaker, and bomber jacket. BauBax 2.0 will run between $175 and $225 depending on style. 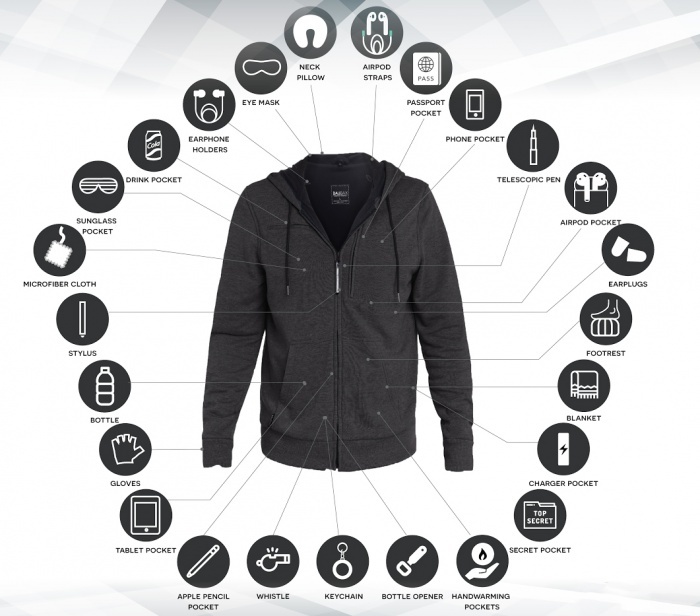 But you can nab one now at discount on its Kickstarter.